Think of this as a start-up company. It takes comprehensive volunteer training to provide solid mentors for a new Colony as well as educational programming for new founders. 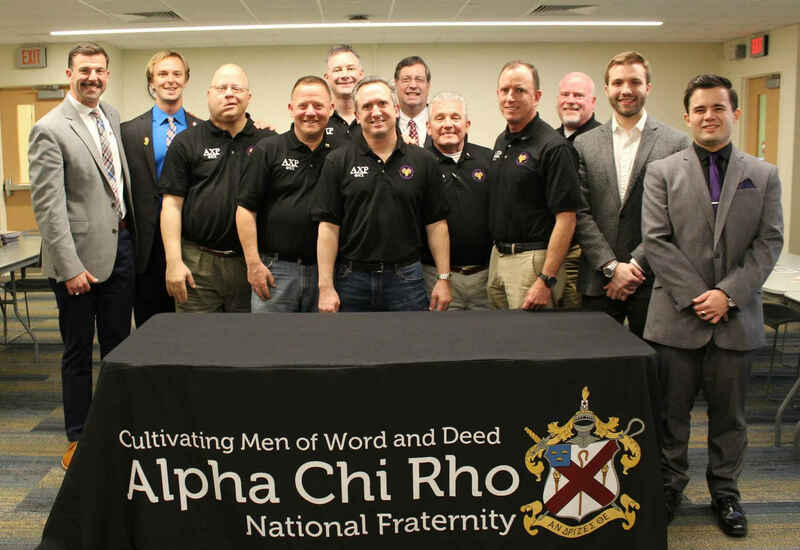 Building a nest egg for a new or returning Chapter allows proper academic support, educational programming and attendance at regional conclaves, leadership institutes and National Convention for the new group. Defraying these costs allows the National organization to provide proper staff and volunteer support until the charter is granted and the Chapter becomes self-sustaining. I need someone to check my greek file at GMU. Go Gamma Chi Phi! Alpha class. Great job Pender. The Rebirth of Gamma Chi Phi!!!!! Time to bring the Crows back to GMU! AXP and the Gamma Chi Phi chapter changed my life both personally and professionally. They were absolutely some of the best days of my life!! Clearing my calendar for Turkey Bash 2019! Great to see GMU back on the map with AXP. Go Crow!